Education experience: Diploma in Applied Arts from Mumbai along with a Diploma in Industrial Design from Ulm, Germany. 1. At National Institute Design, Ahmedabad he had been an Associate Professor form 1966-1969. 2. For almost three decades (1969-1997), he had been the Professor at Industrial Design Center, IIT Bombay, including 18 years as the Head of the Center. 3. He has also headed the Department of Design, IIT Guwahati. Industry Exposure: He has been the Art Director in Asiart Advertising, Mumbai from 1958-1962. 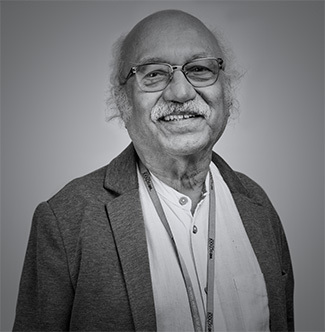 Academic Affiliation: Prof Nadkarni has been the Chairman of ICSID Education Committee, Asia Sub Group as well being the Project leader for UNDP Programme and convener, National Seminar of Design Education under the Co-sponsorship of the UNESCO and UNDP. 3. Member of Working Group for Developing Countries / Design Information Group.